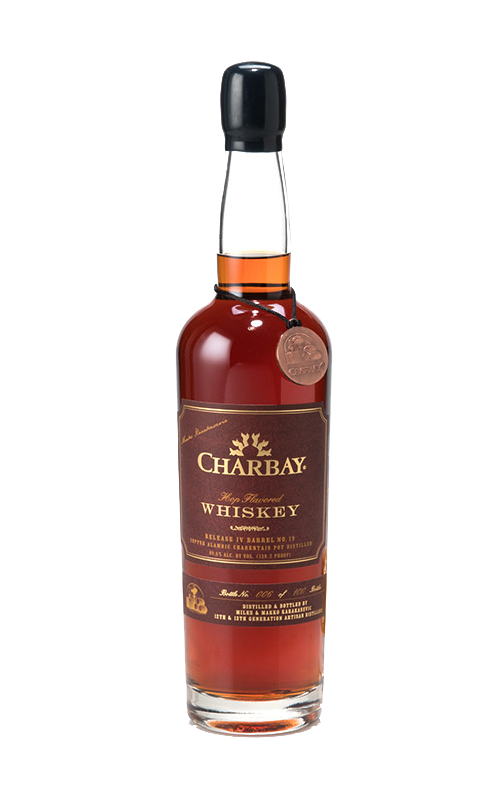 Between Miles and Marko Karakasevic, Charbay has released every category of spirit besides Gin. Some of them sold out before we could make more – you can find them here! Distillers’ Notes: When my father & I distilled this whiskey in ‘99, we decided to release it in waves so whiskey fans could experience the evolving flavors just as if they were at the Distillery. Now, with 16 years of age, the hops have settled into the mid palate while the toasty richness from the American oak barrels carries the bold main body. Some want to add a splash of water, some won’t. Be ready for an explosion of spice and caramel flavors. Aged 2 years in new American White Oak. 840 bottle release. 64.7% ABV (129.4 proof), barrel strength. Aged 6 years in new American White Oak + 3 years in stainless. 120 case release. 55% ABV (110 proof). Fall 2016 release. Only 5 cases released. Email us to get information about the next Pilsner Whiskey (2015) batch, which is now barrel aging. D & T, officially called Doubled & Twisted, was Marko Karakasevic's Liquid Thesis to become 13th generation Master Distiller. Distilled from bottle-ready IPA beer. "... our California salute to France..." Susan Karakasevic. Whole, fresh berries from Oregon's Willamette Valley were chosen for their distinct flavor. Our grower calls when the fruit is ripe and ready. After a 3 month extraction, Marko integrates the fresh extract into Charbay's award winning Clear Vodka. No essences, essential oils, flavors or "natural flavors"... Just the whole, fresh fruit. Miles has released 120 bottles from his personal library - when they're gone, they're gone! Only 1,700 cases of this elegant spirit were released in 2009. We've been begging Marko and Miles to make more ever since! Flavor profile: Malty, floral, fruity, pine, hoppy, herbaceous, confection, lychee and dried papaya. In 2011, Marko became intrigued by Bear Republic's Big Bear Stout - a beer that you can really sink your teeth into. The bold, roasty, caramel malt flavor is balanced by Centennial and Cascade hops. 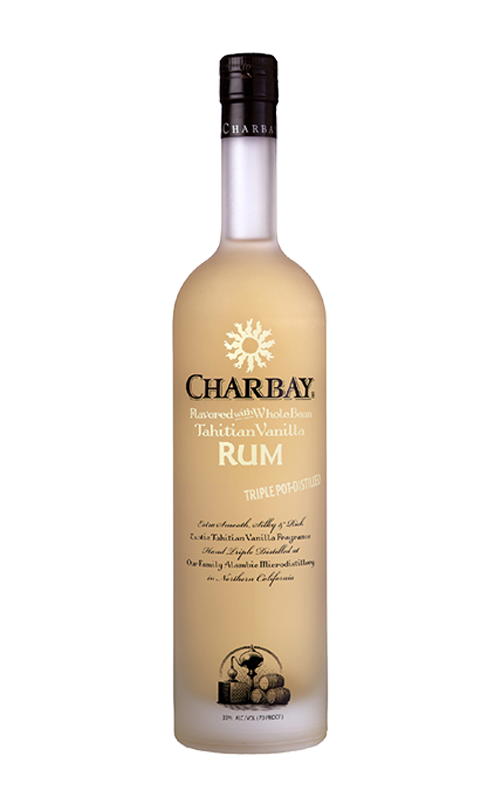 CHARBAY Tahitian Vanilla Bean Rum over ice, is as easy as it gets. Gentle flavors so true to the Tahitian vanilla bean and rum flavers so mellow you'll wonder why didn't you start sipping it sooner. Taste the 'Miles & Marko' style of distilling.